And then, by the twinkling lights of the Christmas tree and right there on my living room floor, my baby boy was born. Five years ago, I gave birth to my first baby. My daughter was born at the hospital, after 44 hours of contractions. Minutes after she was born, I haemorrhaged and a team of doctors descended to keep me alive. Five years ago, I had planned a home birth. I had inflated the birth pool and put together my perfect birthing soundtrack. I had felt confident, until everything changed. It took me a long time to heal from that experience: both physically and emotionally. I assumed that birthing just wasn't my thing. That my body couldn't - wouldn't - play ball. That natural, safe, empowering birth was reserved for other women. Held aside for women with bodies that 'work', with minds that don't panic and with medical histories that don't include a major postpartum haemorrhage. It took five years for the memories to soften enough for me to take the plunge again. I spent much of my pregnancy convinced that I would die during birth, yet as my belly grew, I became attuned to the movements and rhythms of this little life housed safely within and a new feeling grew alongside the fear: connection. With my birthing history, I was considered 'high risk'. I was advised by the hospital to deliver on the labour ward, hooked up to a monitor and surrounded by beeps and lights and doctors. It wouldn't be 'perfect', but I'd resigned myself to believing that my birthing experience couldn't ever be perfect. I'd accepted that perfect was reserved for other women - for those that 'could'. And while I tried my very best to prepare for this inevitable and imperfect birth, I couldn't even pack my hospital bag without almost hyperventilating. Yet by the time my due date arrived, I was actually enjoying pregnancy. I finally felt physically strong and capable. 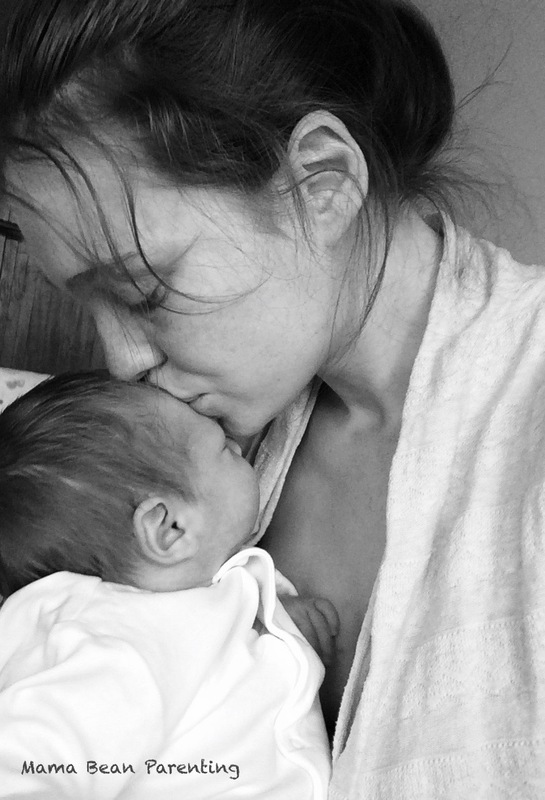 The connection I had with my unborn baby grew each day; I loved that I could keep him safe, that my body could do that. As time ticked on and my due date came and went, the pressure from the hospital to induce heightened. "He'll come with the moon," I half-joked. It had been a slow and emotional process, but my thoughts towards birthing were starting to change. Instead of the labour ward, I set my heart on delivering in the hospital’s midwifery led unit. I wanted darkness, calmness...a cave in the woods. At this late hour, my instincts were finally getting louder. Yet the hospital told me that I didn't qualify for the unit because my risk profile was too high. Negotiations ensued and again, they pressured me to induce. "He'll come with the moon," I breathed. It was a cool, grey, damp December morning and with a spinning head and an ever-loudening instinctual voice, I took myself and my 'overdue' bump off to the woods for a quiet walk. I followed a stream downhill to the river, where I stood and listened to the water flowing past me: free and sure of itself. I felt my baby squirm within me and I knew that he would be here soon. Full to bursting with baby, plans and fears, in that moment I felt free. "Zachary River," I said to myself: free and sure of himself. That evening, as darkness descended, the clouds seemed to melt away and there behind them, lay the moon: bright and full. I had experienced braxton hicks every evening for weeks, but on this particular night, the tightenings felt slightly stronger. Barely even painful at first, they came consistently until the early hours of the next morning, when they suddenly increased in intensity and I realised that labour had really begun. I woke my husband and rang my midwife, expecting that labour would last for days yet simultaneously needing support during what I thought were the early stages...how wrong I was. My labour seemed to accelerate faster than I could keep up and while I still assumed that I had hours and hours before my boy would arrive, my midwife knew better. A word about my midwife: I am eternally grateful for the calm and reassuring presence of my midwife, Kelly. I remember at one point, resting my head on her shoulder. For a second, or maybe two, I felt calm. I remember closing my eyes and taking a breath. It all comes down to trust. I trusted Kelly to carry me through. I trusted that she would keep me safe. I had no option at that point, other than to trust. And in that moment, the months of chats over cups of tea became even more significant. The months of routine checks. The months of wavering emotions and wobbles, of fears and of dissecting my first birthing experience. All with Kelly. She had been witness to every piece of the puzzle. She had helped put the pieces together. She understood each and every segment of my journey; there really was nobody better placed for me to place my trust into. Kelly says I leapt. I guess I did, but not without baggage. I carried my fears through the birthing gates. I think it was between contractions that I asked whether she'd ever performed the procedure that saved my life last time. Still, you see, my head raced on. My brain trying its very best to control the situation. And yet my body didn't care. It raged, it squeezed, it shook. I did not mellow into carefully practised and rehearsed hypnobirthig techniques. I did not glance at pre-planned and beautifully organised birthing affirmations. There had been no preparation for labouring this intensely at home...my birth preparation had consisted of packing a hospital bag and Not Freaking Out Too Much (neither of which I had mastered). No, this was not the plan...a home birth was not a part of my story, remember? It was reserved for other women. It was reserved for other mothers who were built for birthing; quite simply, it was held for those that 'could'. I tried to fight it…"we'll drive fast!" I pleaded, when Kelly gently told me we had no time to get to the hospital. I saw the understanding in her eyes as I uttered these words. All of our plans and last-minute negotiations with the hospital were slipping from our grasps and while I tried to resist it, she had already accepted the inevitability of the situation. And yet for every effort that my brain put into controlling the process, my body did not listen. For all of my fighting, my body took over. My brain wasn't needed for this. And then came the tell tale sound of a push. "Louise what did you just do? Was that a push?" It was at that point that I surrendered. I realised there was no way back and there sure as hell was no way to get to the hospital in time - this baby was coming and he was coming now. I could fight it or I could ride it, and so I gave in. A second midwife was called, my husband was by my side and Kelly was there to catch this sweet bundle as he hurriedly made his way earthside. Zachary River was born right there on the (cream!) rug of my living room floor. 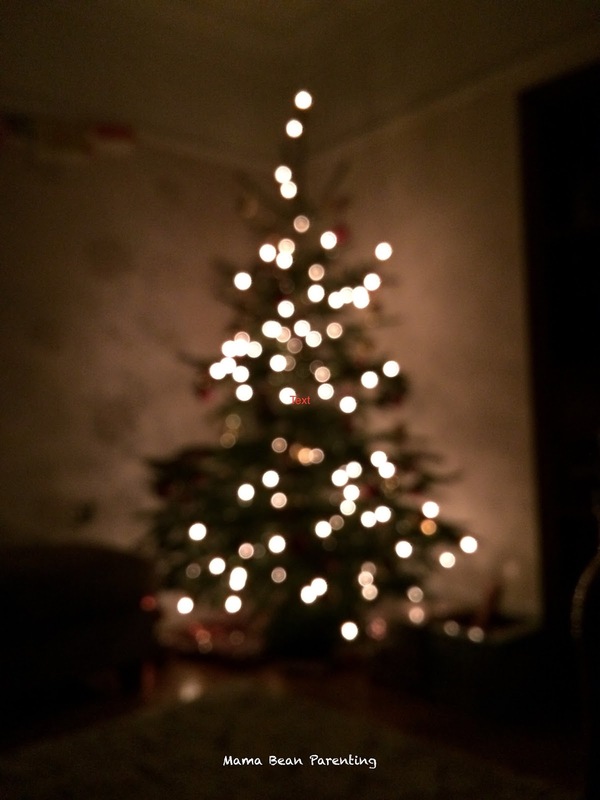 16 days 'overdue', the room was lit by candles and the twinkling lights of the Christmas tree. Outside, the night sky was awash with the light of the full moon. Kelly gently placed him beneath me. He was spread out like a starfish, slimy and utterly beautiful. His big eyes wide in shock. I never would have imagined this next part, which I will never be able to fully describe with words alone. Without thinking, I scooped him up and I breathed him in. I pressed him to my chest and I kissed his warm little head. Love. Pure and perfect love. This might seem so obvious and expected to others - to those that can - but for me, after my first birthing experience, I couldnt believe such a moment existed. 5 years ago, when my daughter was finally placed onto my chest, I remember looking at her and feeling...shock, numbness, fear. "I don't know what to do..." those were the first words I uttered after she was born. I was lost and broken. Yet this time was different. I did not hesitate to scoop him up. I knew exactly what to do, instinctively. My brain not yet caught up with my body, it didn't hinder the process. And so I was gifted, completely unexpectedly and without any prior planning, the sacred birth pause and true, pure, instant connection. The very best moment of my life, as my demons fell from my shoulders and I held my precious boy against me. Raw and Powerful. Two hours. Two magical hours from start to finish. I was transformed in those moments. The pieces of my puzzle turning upside down and showing me a version of my story so beautiful that I never imagined it was mine to claim. My midwife; calm and reassuring throughout. My husband; in shock and with gratitude. My daughter; in awe of her baby brother. My son; the embodiment of love. Me; healing, empowered, free. Birth matters, that much I know for sure. Birth is defining and powerful, and too many of us are left traumatised when we could feel empowered. Too many are herded through processes and standardised protocol without being heard or even respected. One to one midwifery care made a difference for me; the difference between trauma and empowerment. As I cuddled my baby in those precious minutes after birth, I felt elated. My husband and I asked a couple of times whether I was ok…was I about to haemorrhage? Was this moment going to be snatched from us after all? Yet I knew, even with a minor bleed...I just knew I was ok. I was more than ok.
To the friends who guided me, who listened and who soothed, as my pregnancy threw hurdle after hurdle at me both physically and emotionally, thank you. To my family who endured the wobbles and loved me anyway, thank you. To my midwife, who earned every ounce of trust that I placed in you. Who showed up without an agenda, but with an open heart and an informed mind. Who kept me safe. Who caught my baby. Who respected my family. Who slayed my demons. Who empowered and supported and cared for me. Thank you. Thank you a million times and more. Click here to read this birth story from midwife Kelly's perspective!